The group TAMS is involved in several research projects and cooperates with national and international universities and companies. The overall aim of the RACE project is to develop an artificial cognitive system, embodied by a service robot, able to build a high-level understanding of the world it acts in by storing and exploiting appropriate memories of its experiences. Experiences will be recorded internally at multiple levels: high-level descriptions in terms of goals, tasks and behaviours as well as constituting subtasks, and finally sensory and actuator skills at the lowest level. In this way, experiences provide a detailed account of how the robot has achieved past goals or how it has failed, and what sensory events have accompanied the activities. The group TAMS is the coordinator of this project. The aim of the CareToy project is to exploit new ICT and mechatronic technologies to promote early intervention in the first year of life and to reinforce therapy initially performed in a high-competence medical institution by a portable low-cost instrumented setting tele-monitored by the medical centre, thus augmenting the medical effectiveness of the therapy while reducing the cost for the Healthcare Systems. The development of an innovative smart system for rehabilitation of infants at home proposed is based on smart tools, like toys, usable in natural settings, such as the infants’ home, in a non-invasive and transparent way, to stimulate, monitor and measure infants’ rehabilitation. The HANDLE project aims at understanding how humans perform the manipulation of objects in order to replicate grasping and skilled in-hand movements with an anthropomorphic artificial hand. The goal is to evolve robot grippers from current best practice towards more autonomous, natural and effective articulated hands. 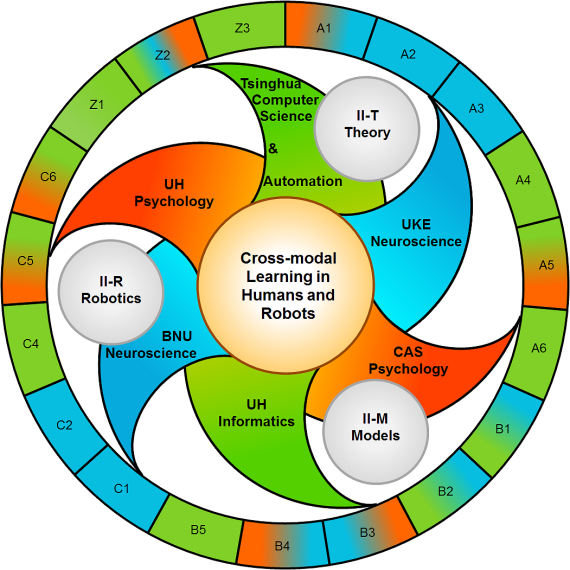 The project will focus both on technological developments and fundamental multidisciplinary research in order to endow the proposed robotic hand with advanced perception capabilities, high-level feedback control, and elements of intelligence that allow recognition of objects and context.